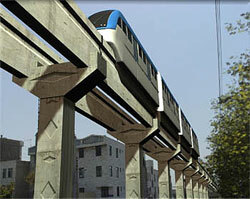 Qom Monorail is under construction, making it the second major monorail to begin construction after Tehran. 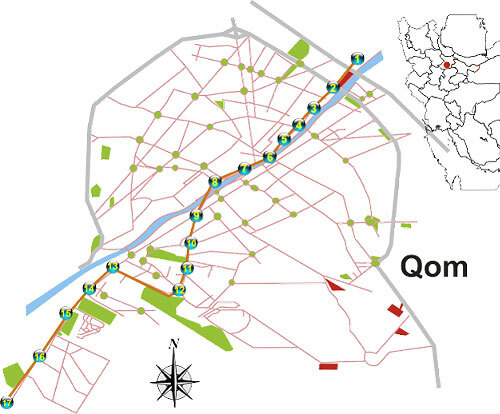 The first phase of the Qom Monorail will consist of six kilometers of track with five stations. It will link the northeastern part of the city with the grand mosque in the center of the city (stations 1-8 on map below). The cost is approximately $120 million ($20 million/km). After expansion, the system will total out to 25 kilometers and 17 stations. New to monorail manufacturing, the project is headed up by Mapna and Kayson companies of Iran. Trains are being provided by FCF SpA of Italy.